Scholarship: Received half-tuition S.I. Merit Scholarship for four terms to attend university. 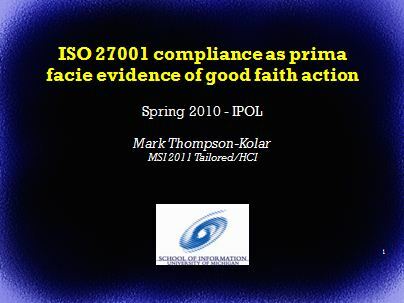 Internal Development Task Force: Directed publisher's companywide task force designed to spread skills throughout organization. In 2005, created cross-training program called "Round the Bases" and set up Excel spreadsheet training effort for dozens of employees. Annual management award: Named "Supervisor of the Year—Honorable Mention 2002" by Publisher David Sharp. 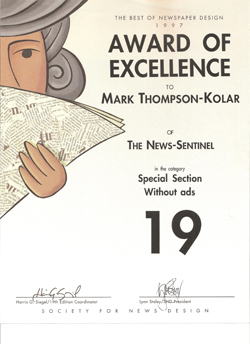 Award of Excellence: Received award for Special Section Without Ads in 19th Annual Contest (1997). Web site specialist: Handle content updates and site coding changes using basic text editor. www.friendsindeed.info. Newsletter designer: Did layout and pagination for quarterly newsletter. Elder: Responsible for smooth setup and operation of one worship service each month.